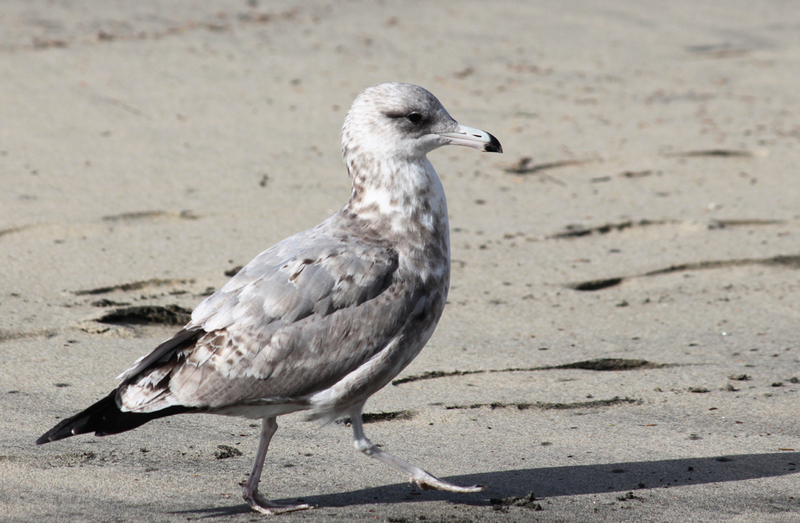 I am reliably informed that this is a California gull, which is appropriate since this was in California, on the beach in Half Moon Bay. Otherwise I wouldn't have a clue -- gulls are a mystery to me. Most likely, it is a ring-billed gull...cue is its black tip beak. That's what I thought too, but my friend Dru, who knows gulls much better than I do, insists that it's a first-year California gull.